The Body Shop has been doing a lot of 'growing-up' recently. 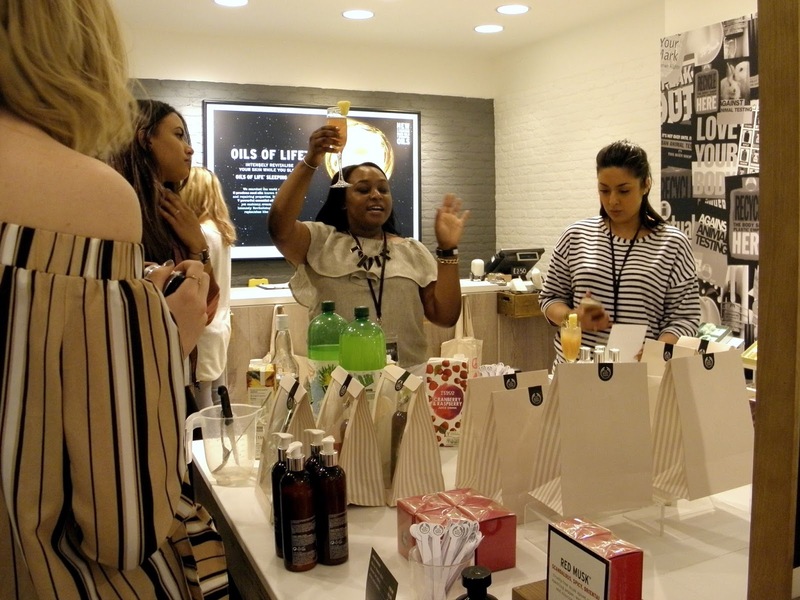 With the introduction of luxury spa products, innovative skincare like Oils of Life Sleeping Cream, and a total redesign of their packaging, The Body Shop is stepping up their game and I am very excited to see what they have been up to! I was kindly invited along to an evening of cocktail making and pampering at The Body Shop New Street store in Birmingham, which was organised by The Blogger's Parlour. Having been off the blogging scene for a little while I was eager to get myself out and about, and meet up with some new blogger friends! 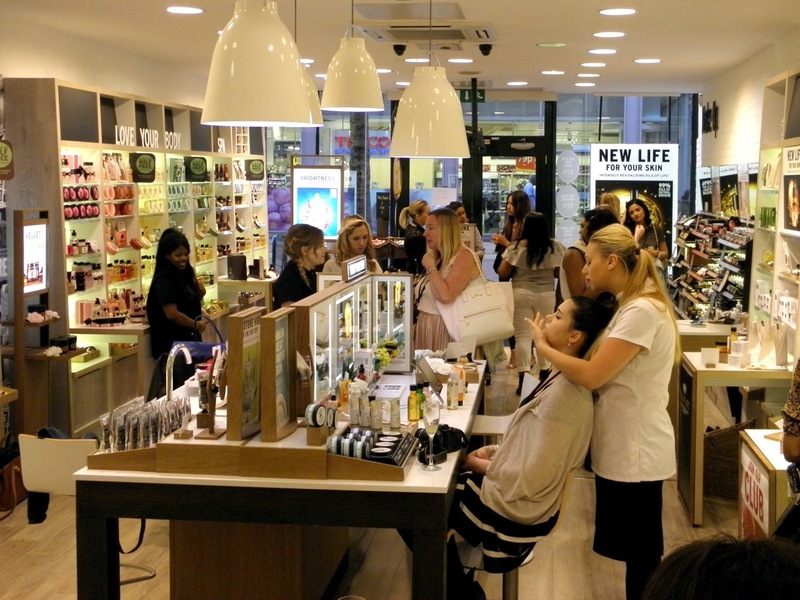 Arriving at The Body Shop, we were greeted by the wonderful staff who made us feel comfortable for the evening. Our host for the evening was the wonderful Abbigayle who made the event so much fun - I highly recommend going along to any Blogger's Parlour events if you get the chance because you will enjoy every second! What is so special about their events is that they are tailored to get everyone talking about the event and chatting to each other, as well as being made to feel like royalty with food, drinks and photos. We started the evening playing some ice breaker games, giving us chance to get to know the other blogger guests at the event. 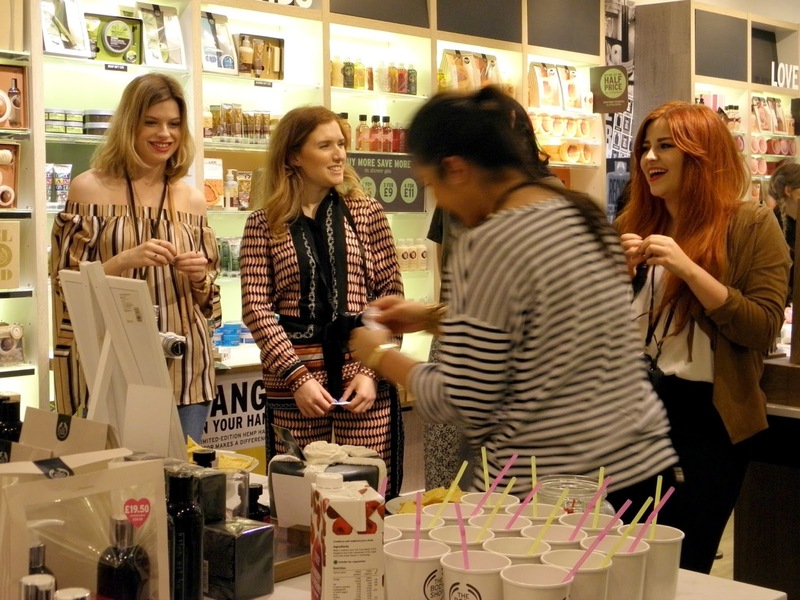 Then we had chance to play some games involving The Body Shop products. One task we were given was to create a picture of our favourite Body Shop products. 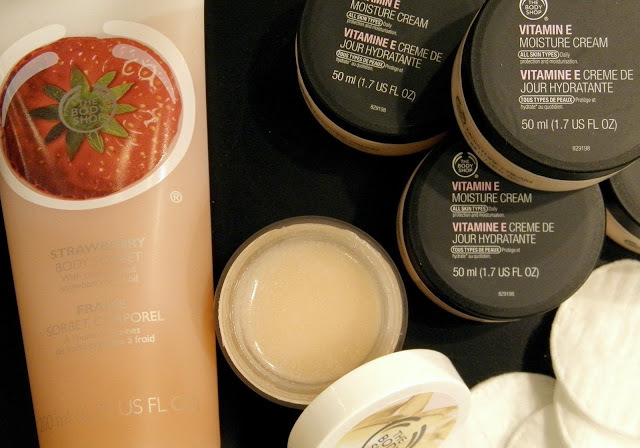 I obviously went for the Vitamin E Creams as I am obsessed with the stuff, especially when my skin is dry. I also had to include the Sorbet, which is like a light-weight lotion, and I went for the Strawberry one because it smells divine. After this we made some amazing cocktails which were the perfect addition to our pamper time. The staff at the shop invited us to have skincare consultations, facials, massages, it was just lovely to be treated and get to try some of the new products while we were at it! We also got chance to have a sneaky preview of the brand new CC cream being launched later this month - keep your eyes peeled for it because it is a game changer for your skincare routine!